Practically everything I have learned about sourcing and recruiting didn’t come from a mentor or any formal training. What that really means is that when it came to finding top talent, I tried a lot of things that didn’t work, and because I refuse to make excuses, give up, or accept anything less than the best results, I kept experimenting until I discovered things that enabled me to find people that others can’t and don’t. 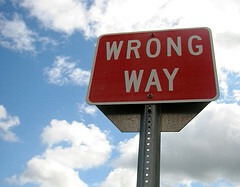 With over fifteen years of experience in sourcing and recruiting, I’ve made my fair share of mistakes along the way. I’ve also had the opportunity to assess, train and coach corporate and agency sourcers and recruiters, which has exposed me to many myths, misconceptions and mistakes when it comes to leveraging information systems for sourcing and recruiting. Here are what I believe to be some of the most common productivity-robbing and results-reducing mistakes sourcers and recruiters make when looking for the right match. Resumes are by nature imperfect and are poor representations of a person’s experience and capabilities. As such, I’ve always advised sourcers and recruiters to use my “10 second rule:” Don’t read resumes – scan them. If you can’t absolutely disqualify/rule out a candidate based on reviewing their resume in 10 seconds, pick up the phone and call them. Interestingly, a recent study by TheLadders that used eye tracking technology while recruiters scanned resume search results showed that recruiters spend an average of 6 seconds assessing a resume before making the judgment on whether or not the person might be a good fit for the position they are being sourced for. However, when reviewing resumes in search results, I think it’s critical to not be looking to determine if the person might be a good fit for the position you’re sourcing/recruiting for. Wanting to make a judgment of a potential match between a resume and a job opening is natural, but it is important to remember resumes are not complete pictures of the people who write them. As such, you should only be looking to see whether or not you can rule them out based on basic qualifications. If you can’t, you should call them/email them to find out more. While you may not be crazy about a particular resume, it’s important that you try to engage every potential match, because I have learned through experience that some of the best people have uninspiring and lackluster resumes. When you run basic and generic searches, you return result sets that are often so large that you can’t review them all, creating a hidden talent pool of dark matter results. People making this mistake unknowingly increase the size of the pool of candidates they don’t find (results returned but not reviewed). It’s also worth noting that anyone can run a basic/generic search, so they offer you no competitive advantage. Don’t assume anything from a resume– including how far you think the person might commute, if they are willing to relocate, if they would be open to a contract position, if they have enough experience, that they don’t have experience with something just because it’s not in their resume, etc. You should always take time to analyze your search criteria to assess the possibility that your search terms may not find all qualified candidates, and in fact might actually be eliminating viable candidates. I have found that the more time I spend on the front-end of a search, the more relevant my results become, which in turn increases my productivity by enabling me to find more and better candidates more quickly. Imagine that! Take some time to sharpen your search strings before you start taking action on the search results, or else you are likely performing the equivalent of trying to chop down a tree with a dull axe. Don’t see each resume as only a potential match for the position you’re currently sourcing for. Any resume database you have access to can be leveraged in much the same way as LinkedIn can – every person is actually a conduit to a larger network of people. So even if a particular resume you’re reviewing doesn’t appear to be an ideal match – they actually might be (see mistakes #1 and #3), and/or they may know someone who is. It’s actually impossible. Trust me. Consider that every search you run both includes qualified people and excludes qualified people. Did you know that 75% – 80% of all resumes on the major job boards are dated over 30 days old? Did you also know that most people don’t even look at them, let alone take action on them? You should never limit yourself to only searching resumes posted in the last 30 days. Opening up your searches to ALL resumes enables you to tap into the deep end of the talent pool – the estimated 66% of people who are not currently looking but can be recruited for the right opportunity. The fact that people tell me they don’t like to call people whose resumes are over 6 months old baffles me – as if the people who wrote them have an expiration date. Sourcing and recruiting should not be conducted on a FIFO basis, but on a BIFO basis. Think about it. If you ever feel like you’ve found everyone to be found, you’re wrong. Invariably you’ve created and left behind dark matter resultsof people who actually DO match your positions, but you could not find them because your Boolean search strings made it impossible to do so. Being aware of this is a major step on the path towards sourcing enlightenment. There are just as many great, high quality candidates in each job board resume database (e.g., Monster, Careerbuilder, Dice, TheLadders, etc.) as there are on LinkedIn, or any other source for that matter. I will be publishing an article soon to back this claim up statistically. Not all companies use the same titles for the same roles and responsibilities, so making this mistake contributes to you not finding candidates that match your hiring profile or job order but has a title that you didn’t think of and include in your search. The Boolean NOT operator is the least utilized, and in my opinion, actually the most powerful standard/basic Boolean operator. It’s not just for getting rid of stuff you don’t want. I will dedicate an entire post to the NOT operator in the near future. The best and most effective searches don’t rely solely on skill/technology based terms, but also include responsibility terms and environmental terms where applicable. This is the a critical step in moving beyond simple buzz-word search and match, which gives sourcing a bad name and allows some people to view sourcing as a low or entry level position. For example – spending hours searching the Internet, Twitter, Facebook, Google+ or Pinterest (!) for potential candidates and not heavily/effectively leveraging your internal resume database/ATS or other, better suited tools at your disposal. While you can certainly find some great people on the Internet, Twitter, Facebook, Google+ or Pinterest, none of them are particularly deep sources of human capital data, and neither are any of them specifically designed for retrieving detailed work-related human capital data. Trying to use them to find potential candidates can be massively time consuming and can be largely an effort in sifting through irrelevant results and attempts to reduce false positives. If you have access to an ATS or internal resume database, it’s specifically designed to store and retrieve resumes, probably has more local and more qualified candidates than the Internet, and (hopefully) has a better search interface enabling more precise searching. Let’s also not forget about LinkedIn, which isspecifically designed for storing and retrieving deeper human capital data, and if you have access to any of the major job boards, they actually have a larger percentage of passive job seekers than active and they have some fantastic candidates – see mistakes #7 and #11. Until you can say that you have honestly exhausted your ATS, LinkedIn, and any job board resume databases you have access to (to the best of your efforts/knowledge – see mistake #10), you shouldn’t be spending a ton of effort trying to find people on the Internet, Twitter, Facebook, Google+ or Pinterest. This is by no means an exhaustive list, but it certainly covers what I believe are some of the most common and major mistakes sourcers and recruiters make while searching for potential candidates. Do you have a mistake to add to the list? Post a comment and let the world know.